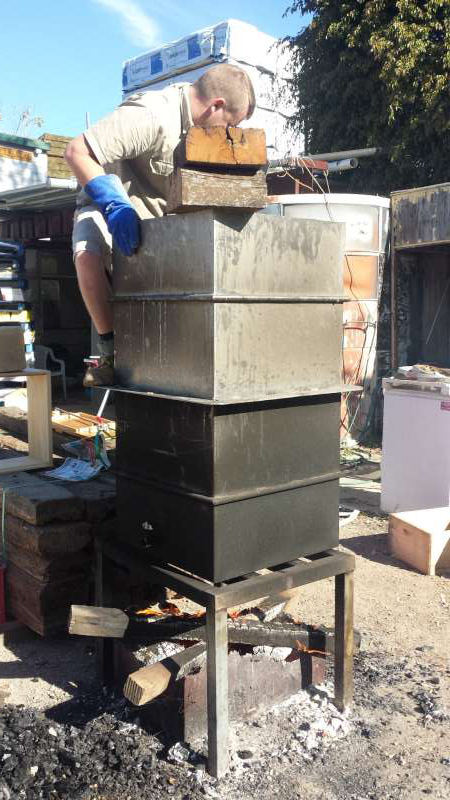 Waxed bee hives and making biochar – September 4th 2016. Fathers day. A friend of mine has been working on an all natural way to preserve his bee hives for about a year now. Well yesterday he finally completed the project. Every body loves fresh raw honey, especially if the bees have been busy in my cannabis crop. We take the bees and their amazing community and collection skills for granted. However the bee population world wide is falling rapidly. Many theories have been put fourth as to why. Like mono-cultured plantations making the bees week, telecommunication towers interfering with the bees navigation systems, Chemical poisons, fertilizers and pollution, bee related diseases like AFB (American Foul Brood) and of course life in general. Josh my friend has been an amateur bee keeper for quite some time and a deep thinker who thinks he has found part of the solution in waxed bee hives. 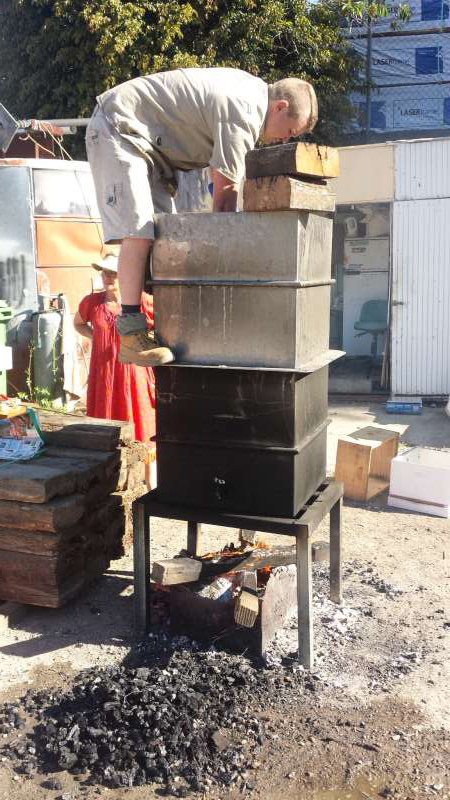 I was there, I saw, I helped and of course I tended the biochar from his wood fired wax dipping setup. 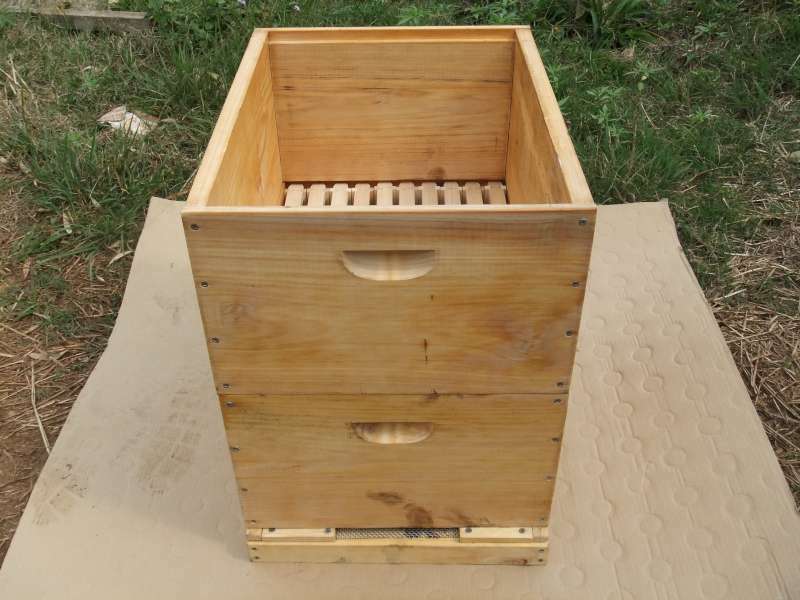 waxed bee hives – Let me explain. 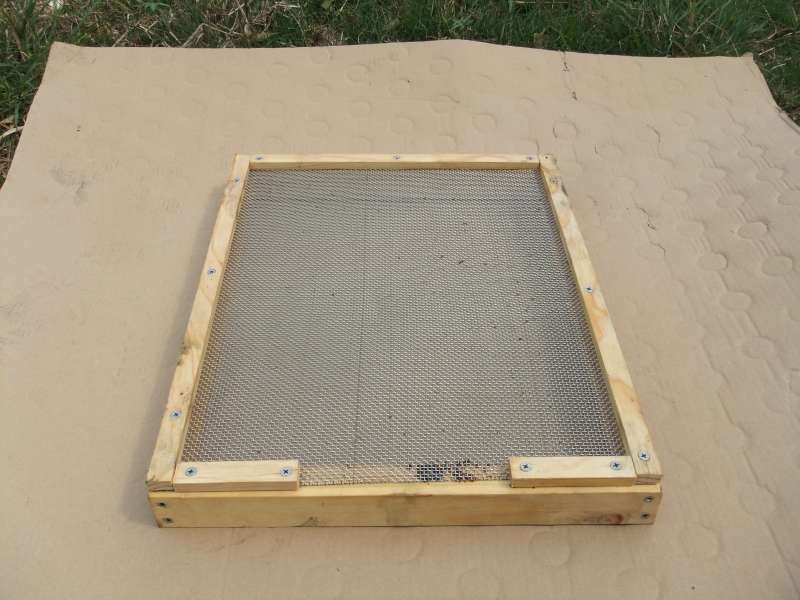 One of the biggest investments of time for any bee keeper is the preservation of your bee hive. Some people can paint their bee hives with up to 6 coats of paint usually allowing a day between coats. This time adds up. Imagine if you had 50 hives. A bee hive is usually left out in the elements full time. Sun beating down, wind howling past, rain driving through and of course the millions of bee landings each day on the front landing take its toll on the usually soft wood boxes. 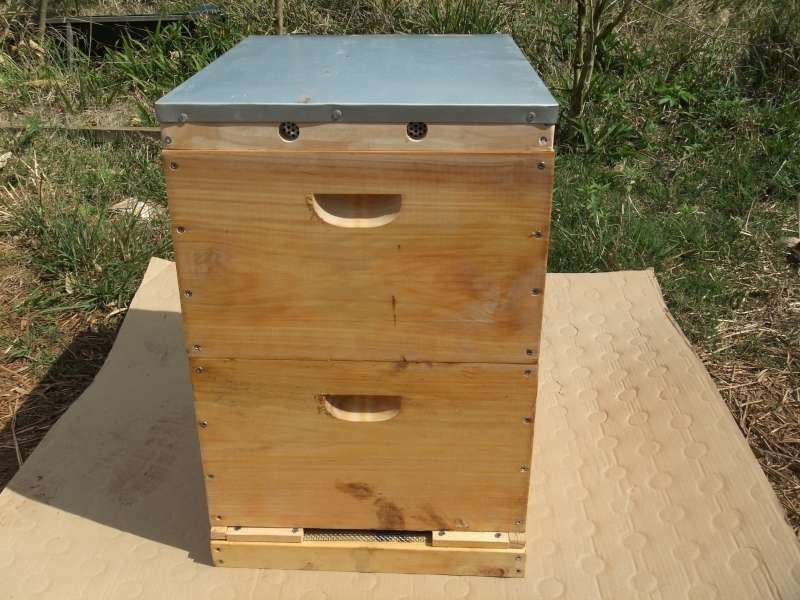 So anyone investing in bees for honey collection will naturally want the investment to last a long time. Paint is a big part of the problem when it comes down to what might be taking the toll on the bees. Apart from the cost and the time it takes to apply most paints are just not natural. They can be a concoction of quiet deadly chemicals adding to the weakening of the hive. So after much research Josh has but it all together and created a very easy all natural and very quick way to protect your bee hive investment. 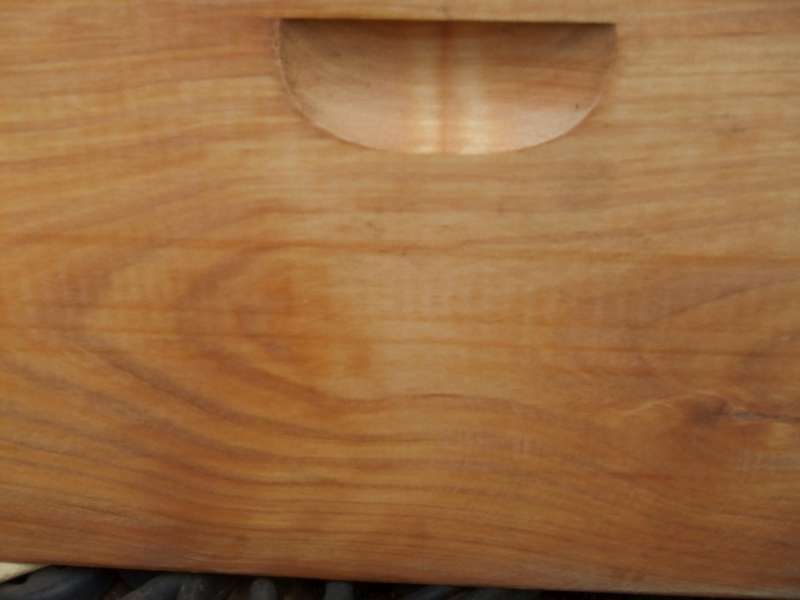 By dipping your bee hives in heated bees wax you are getting a permacultured finish to your bees home. When I say permacultured finish, I am talking an abundance of benefits from the one energy input. Lets check them out. A natural all weather protective coating. Heaps of time saved to complete the task. Compare to paint the savings are immense. All wax can be reused again and again. Same wax the bees make so they feel right at home. Longevity of the wood as it has had the water removed from it and replaced with wax. See the waxed bee hives with these great photos we took. Charmaster Dolph Cooke Doubles as an apprentice beehiving him self. 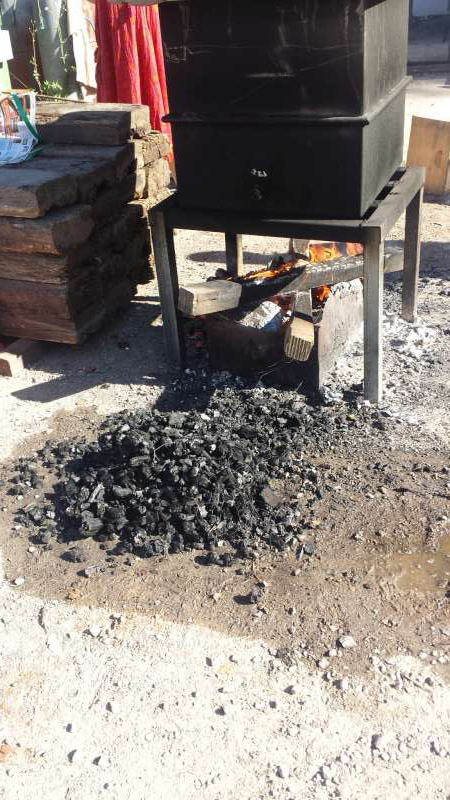 The fire, The tank and of course the Biochar. Josh pushing the boxes deep into the melted wax. Closer look at the bottom box and frames. Bottom box frames and super. 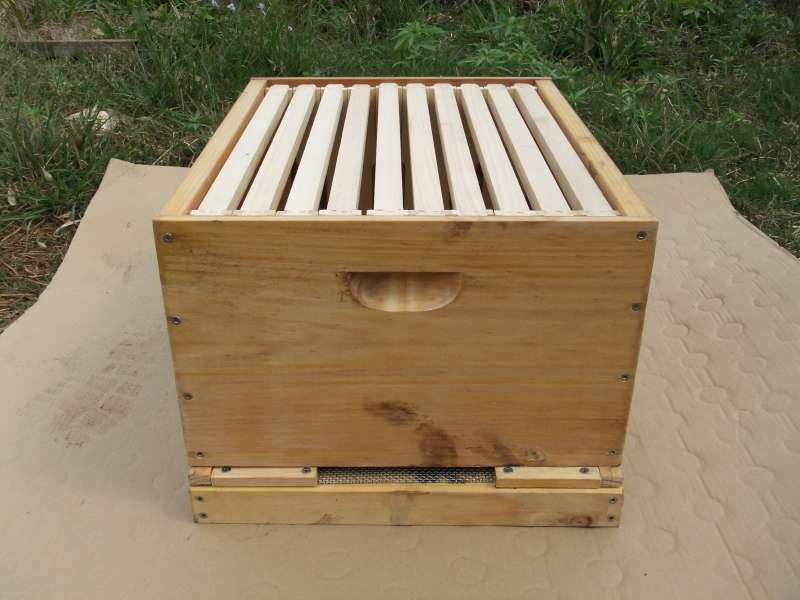 Here is our completed waxed bee hives. Hive beetle bottom by Josh designed so the beetles get pushed out of the hive. There is so much more I want to tell you about this. Due to my schedule. 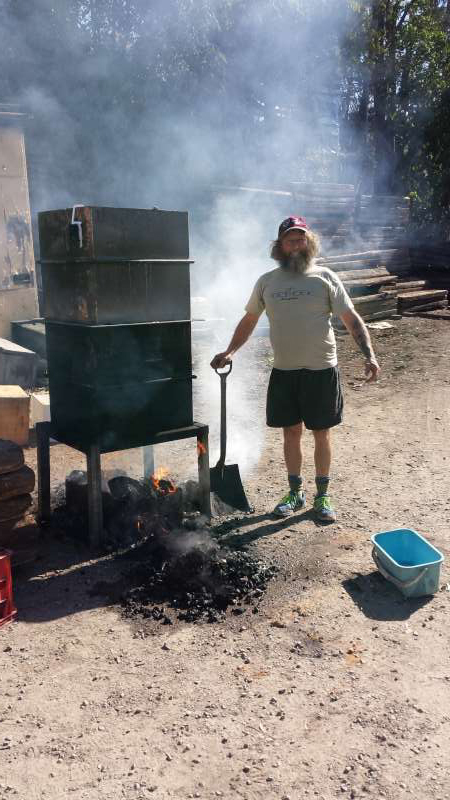 I have asked josh if he wants to do it again this time at our bee area at the biochar project. Stay tuned for more bee goodness and if you have any question please make comments under this post. Dolph great report and synergy between the two areas. I trust this idea would take outback heat without the wax melting? No doubt the hives would need to be placed under a tree/in the shade. We used to do this in the 70s with the addition of a little microcrystalline wax. We also rolled the outsides with a thin acrylic paint mix made from converted vegetable oil while the boxes were still hot. Those boxes are still in use.